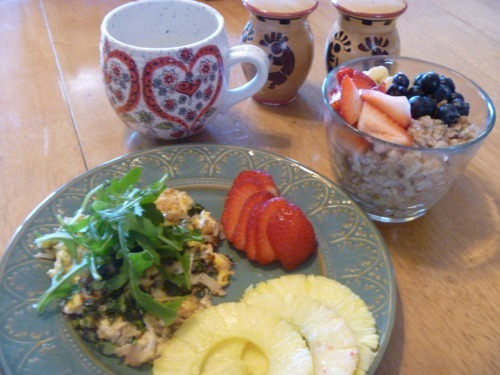 A warming and nutritious breakfast featuring oatmeal with berries and herbed eggs with arugula. Breakfast and I aren’t usually friends, but lately I have been really enjoying my oatmeal and eggs… could it be, could I be turning into a breakfast lover? 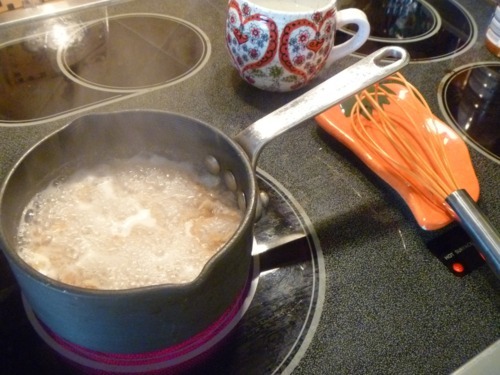 Bring the water to a boil in a small pan. Once boiling, add the oats and simmer for 10-15 minutes. Slice the banana as thinly as possible. 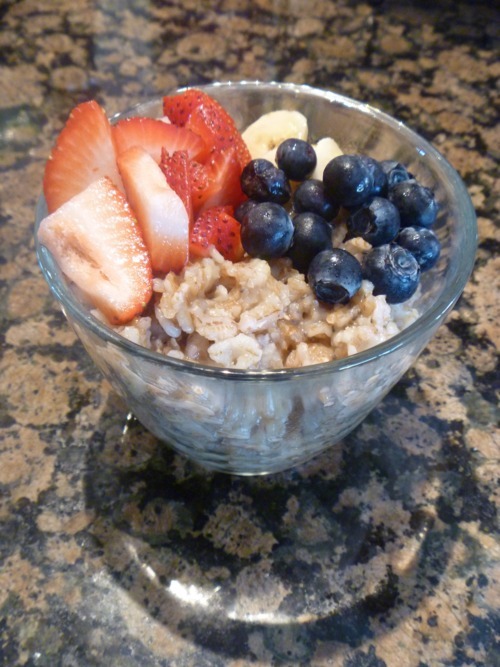 Once the oatmeal is done, vigorously whisk the banana slices into the oatmeal, completely incorporating them. The banana is an amazing addition because it takes milk’s place in lending a creamy texture, plus it adds a touch if natural sweetness. Combine the egg and milk. Chop garlic, basil and onion. In a skillet, heat the butter and olive oil together. Add the onion and garlic and cook for 1-2 minutes until soft. Add the egg mixture and allow to cook. 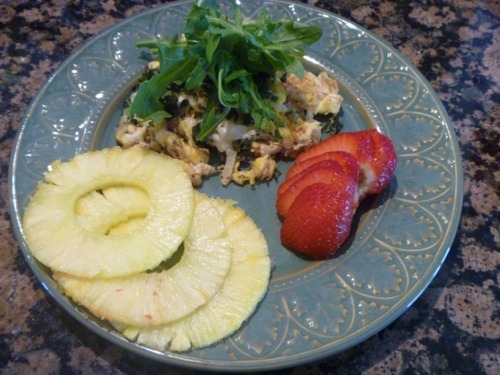 Once the egg is done, mix in the Parmesan cheese. Lemon water is great for your digestive system in the morning, I highly recommend it. Tell me- what is your favorite breakfast?